Services will be held on Saturday, September 17, 2016 at Port Hudson Baptist Church, 1173 Hwy 61 Jackson, La. Visitation will be held from 9 a.m. to 10 a.m.with a Memorial Service to follow from 10 a.m. – 11 a.m. officiated by Mr. Paul Rodriguez. In lieu of flowers the family request Donations be made to St. Jude Cancer Center. A native of Monroe and a long time resident of East Felicana Parish, Bill passed away at the age of 75, Sunday, September 11, 2016 at 10:27p.m. at Our Lady of the Lake Hospital. He was a retired welder, ABC welding teacher and spent many years as a part-time Deputy for East Feliciana Parish Sheriff's Office. Bill was passionate about and loved being a part of law enforcement, he loved hunting, fishing, riding motorcycles, spending time with his friends and most of all he loved spending time with his grandchildren and great grandchildren.He was preceded in death by his parents, sisters Joann Fuller, Mary Beth Carter, Melanie A Fuller and a stepson Tony Foil. 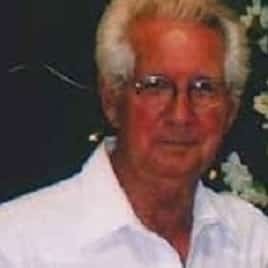 He is survived by his wife of 12 years Linda T. Fuller of East Feliciana Parish. Four step daughters Theresa Gray, Becky Gayle, Marsha Martin and Amy Cedotal. Two step-sons Charles Sumerall and Tony Foil. Two Sisters Robbie L Arnold and Cherry A Kelley. Three brothers James Fuller, Robert Fuller and Michael R Fuller. 15 grandchildren and 15 great- grandchildren. Healgrief has a memorial to share with you. https://healgrief.org/william-bill-fuller/ We invite you to express condolences, share special memories and photos and light virtual candles to honor and celebrate the life of our loved one. We also invite you to share this with others who may want to be notified as well. You may do so by sharing the link or by clicking the “Share this Memorial” button from within the memorial itself.